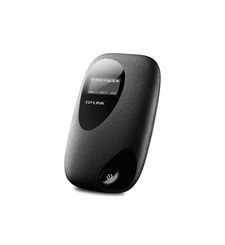 Want to connect to the internet on the go? The Huawei E5787S-33A 4G Mobile WiFi Touch Router is here to serve you. With a 2.4-inch touch screen, you will now be able to see and check on all that is going on, change the setting and check speed. Thanks to the LTE Cat6, the Huawei E5787S Delivers download speed up to 300Mbps. So, if you want to stream content online, download data and movies, or play online games, you can do that without worrying about lag. And thanks to the mighty 3000mAh battery, you will be able to enjoy an up to 10 hours of working time. The Huawei E5787S will become your favorite road companion, which you can trust to never give up on you when you most need it! The Huawei E5787S sports an extremely convenient 2.4-inch touch screen. Now, this router is easier to use and can be quickly operated. 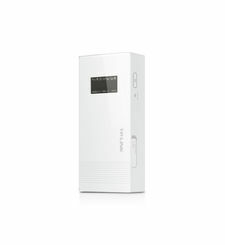 Showcasing key information such as data consumption, connection time, speed, receive status, you will be on top of everything related to your router. And even more graphical data can be accessed through the menu. This feature, along with many others, is bound to take your internet connection experience to new highs! With the 4G LTE connection, your download speed will be increased to 300Mbps. So now, wherever you go, whatever you are doing, you can trust your internet connection to have your back at all times. The Huawei E5787S is also backward compatible, meaning it also supports 2G and 3G. You can give internet access to 10 people through the WiFi network. Need one more? They can use the USB port to connect directly! Whether you are off on a road trip, working from a café, or chilling at home, the Huawei E5787S will have you covered! Compared to other conventional Huawei routers, the E5787 has a removable battery which delivers an astounding capacity of 3000mAh. Now, you can trust your router to offer you around 12 hours of operating time. When you run out of charge, you can easily use the MicroUSB cable to recharge your router. And if you aren’t close to power sources, keep an extra battery on you, and change it on the go! With gold metallic borders and gleaming finishes, be sure that your router will make a stylish statement and will feel like a precious gadget between your fingers. Internet connection has never looked this good! 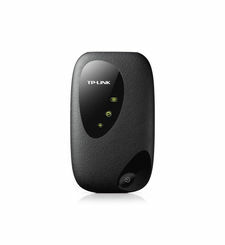 Want to connect to the internet on the go? The Huawei E5787S-33A 4G Mobile WiFi Touch Router is here to serve you. With a 2.4-inch touch screen, you will now be able to see and check on all that is going on, change the setting and check speed. Thanks to the LTE Cat6, the Huawei E5787S Delivers download speed up to 300Mbps. So, if you want to stream content online, download data and movies, or play online games, you can do that without worrying about lag. And thanks to the mighty 3000mAh battery, you will be able to enjoy an up to 10 hours of working time. The Huawei E5787S will become your favorite road companion, which you can trust to never give up on you when you most need it! TOUCH SCREEN OPERATIONS The Huawei E5787S sports an extremely convenient 2.4-inch touch screen. Now, this router is easier to use and can be quickly operated. 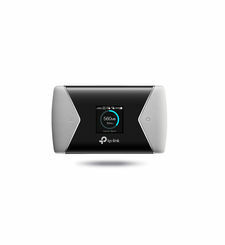 Showcasing key information such as data consumption, connection time, speed, receive status, you will be on top of everything related to your router. And even more graphical data can be accessed through the menu. This feature, along with many others, is bound to take your internet connection experience to new highs! FAST CONNECTION ON THE GO With the 4G LTE connection, your download speed will be increased to 300Mbps. So now, wherever you go, whatever you are doing, you can trust your internet connection to have your back at all times. The Huawei E5787S is also backward compatible, meaning it also supports 2G and 3G. You can give internet access to 10 people through the WiFi network. Need one more? They can use the USB port to connect directly! Whether you are off on a road trip, working from a café, or chilling at home, the Huawei E5787S will have you covered! A BATTERY BUILT TO SURVIVE Compared to other conventional Huawei routers, the E5787 has a removable battery which delivers an astounding capacity of 3000mAh. Now, you can trust your router to offer you around 12 hours of operating time. When you run out of charge, you can easily use the MicroUSB cable to recharge your router. And if you aren’t close to power sources, keep an extra battery on you, and change it on the go! 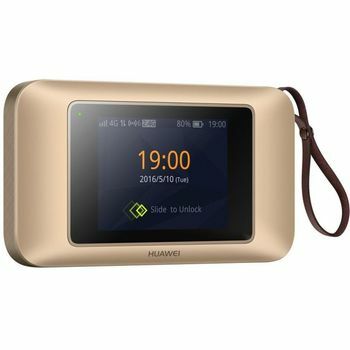 STYLISH PORTABILITY With gold metallic borders and gleaming finishes, be sure that your router will make a stylish statement and will feel like a precious gadget between your fingers. Internet connection has never looked this good!